Hives are the common name for the skin condition known as urticaria. 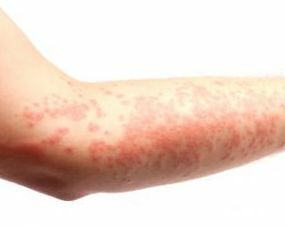 This skin rash can appear on just one part of the body or be spread across large areas and usually goes away within hours or days. But hives can be unsightly and itchy, affecting the patient’s quality of life and even causing unpleasant disruptions. Hives can appear at anytime, caused by a wide array of allergens. Regardless if the hives appear due to stress, heat, certain foods, pollen, dust, insect bites or medication drugs, they can be successfully eliminated with a highly efficient treatment: OxyHives. 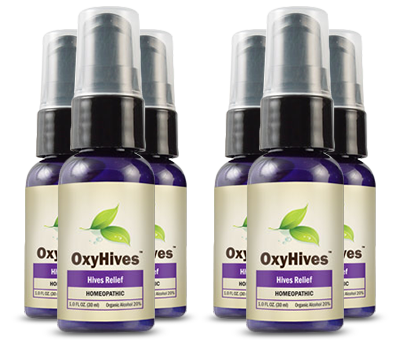 OxyHives is a natural homeopathic product that quickly eliminates hives in the comfort of home. Having natural ingredients that strengthen immune system and offer fast relief to skin rash, OxyHives does not cause negative side effects and supports the consumers minimize the discomfort caused by hives. 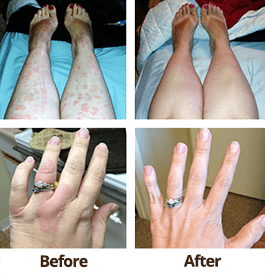 Knowing that hives can appear even without a known cause, people who are prone to be affected by urticaria have to keep at reach an effective treatment that offers fast relief to the redness and itchiness caused by hives, a powerful treatment like OxyHives. Hives can go away with natural ingredients we all have in our kitchen. Despite the fact that not all of us can carry these ingredients with us, in our bag, these home-made remedies will help you to treat hives at home. If the skin rash is not caused by cold, a cold bath or a cool compress can alleviate the appearance of hives. Cold can shrink the blood vessels, thus blocking the release of histamine which causes the appearance of hives. If the itchiness becomes unbearable, one tablespoon of vinegar mixed with one tablespoon of lukewarm water will stop the irritation and relief the itching. You can also add two cups of vinegar to your bath and you will quickly get rid of the itch. If you apply Aloe Vera directly on skin rash, it will reduce the inflammation and relieve the pain, stinging, itchiness and redness. Aloe Vera is cooling to the tissues if it is applied externally, but in case if it is taken internally it will stimulate the immune system and the elimination of inflammatory toxins. Baking soda mixed with a few drops of water will make a paste that, applied on hives, will soothe the itching. If you add two cups of oatmeal wrapped in some nylon stocking under the bath tap and then take a bath in that water, you will reduce the appearance of skin rash and soothe the itchiness. 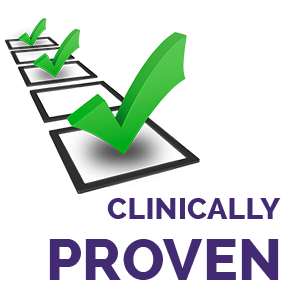 Echinacea tea has anti-inflammatory effects and reduces the sensitivity to allergens. This plant stimulates blood and lymph drainage, it improves the functioning of the immune system and it has powerful antibacterial effects. Green Tea reduces allergic inflammations and eliminates hives. It improves the immune response of body and acts like a powerful antioxidant, offering protection against toxic damage to the tissues. Three tablespoons of Olive Oil mixed with three drops of Grape Seed Oil applied on welts have anti-inflammatory effects and will reduce the swelling and redness of skin. Itchiness will be gone and skin will remain soft and moisturize. Honey (Apis Mellifica) is an ingredient anyone should have in their kitchen. Honey has astringent, antiseptic, anti-inflammatory, antifungal and antibacterial properties, it is rich in vitamins, minerals and nutrients that improve the immune system and which energize the body. Only one or two teaspoons of honey per day are enough to offer relief to hives, boosting the healing process and relieving the itchiness and redness caused by urticaria. Witch Hazel (Hamamelis) has astringent properties and contracts blood vessels, so they will stop releasing histamine. Nettle (Urtica Urens) is often recommended by herbalists as a natural alternative to antihistamines. A capsule per day will offer relief to hives, but you can also consume this ingredient in natural state as a recipe with other food items. But if you are in a hurry or you are not at home, you cannot use these ingredients to relieve hives fast. You should keep a bottle of OxyHives in your bag and make sure you will keep the skin rash under control. Use OxyHives as soon as hives appear and make sure you will get rid of them immediately!